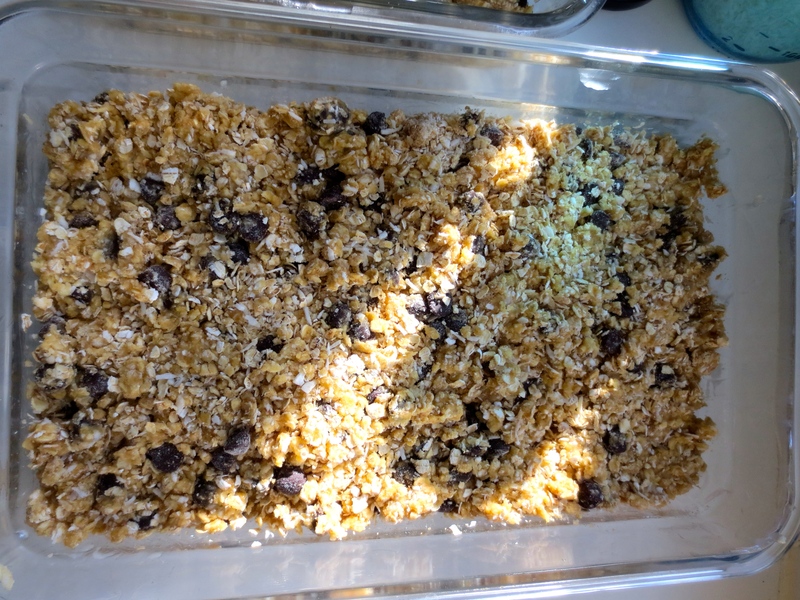 I’ve spent an unhealthy amount of time searching for the perfect homemade granola bar recipe. Ironic, isn’t it? I knew what I wanted: something chewy, with shredded coconut and chocolate chips, but that was still filling and gave me an energy boost, not just a sugar rush. Finally, I found it, and it all made sense: the recipe was made by one of the chefs who cooked for the employees at Google. Of course, they need brain food to stay energized and really really focused! But, um, don’t we all? From personal experience, here are a few occasions where these bars have been shared and enjoyed: staff meetings, study sessions, after a workout, breakfast on the go, second breakfast, on road trips, satiating a cranky sibling during a long drive… I’ll stop there. 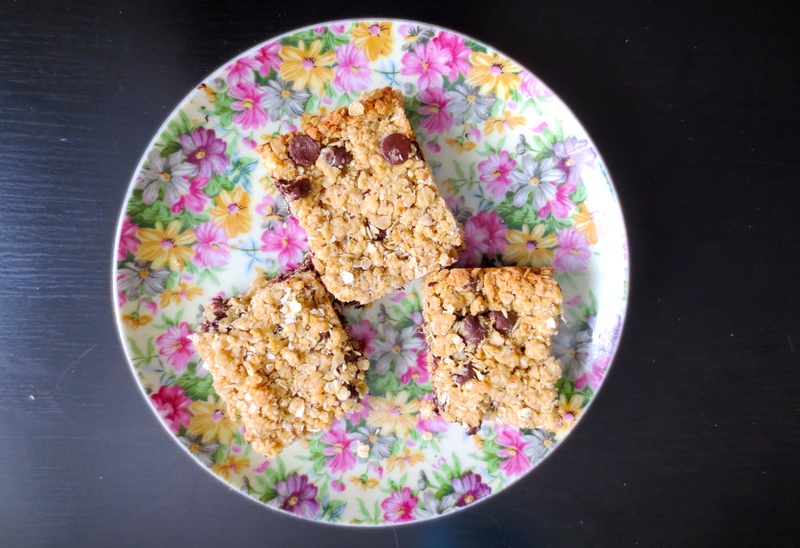 Try this one out, you’ll never want store-bought granola bars again. **I always double the batch, because they keep well and always seem to go fast. If you want to try the original portion, see this source. Instructions (from Charlie Ayers): Preheat the oven to 350°. Lightly oil and 9X13-inch square baking pan and set aside (I use virgin coconut oil). Sift the flour, baking powder, and salt into a mixing bowl. 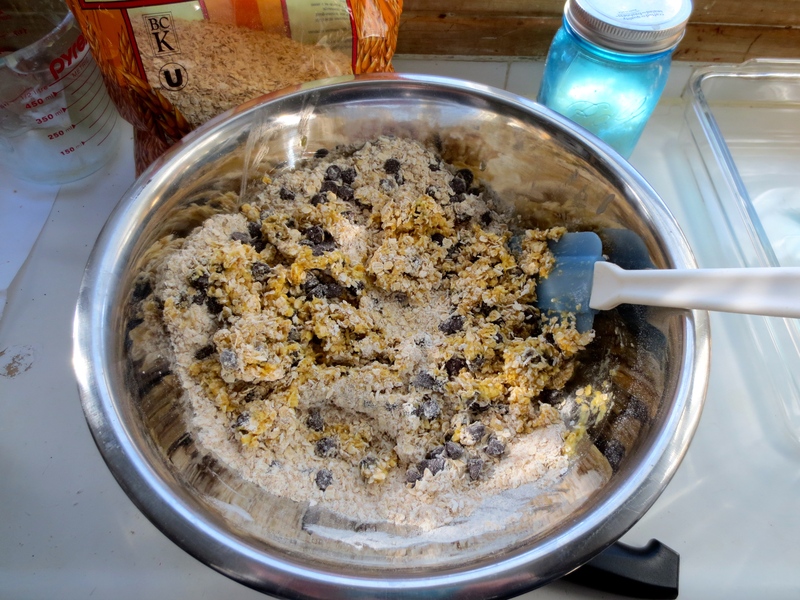 Stir in the oats, brown sugar, coconut, and chocolate chips. Stir together the melted butter, egg, and vanilla, then add to the flour mixture and stir until just blended. Avoid mixing more than needed. Transfer to the prepared pan and level the surface. Bake until slightly risen, golden, and just firm to the touch, about 25 minutes. Put the pan on a rack and let cool before cutting into triangular or rectangular bars or squares. Enjoy! And see you tomorrow when I post a DIY craft somewhat related to this!